Are you looking for exceptional auto care and service? You’ve found it! 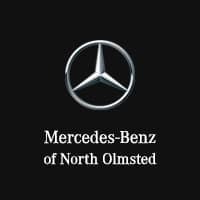 The Mercedes-Benz of North Olmsted Service Department does it all – maintenance, repairs, parts, and complementary service amenities.It starts with our factory-trained, certified technicians with many years of experience. They are ready to handle any request, from *changing oil to rebuilding a transmission. They work in our state-of-the-art Service Department with the latest equipment and diagnostic gear. They use only genuine Mercedes-Benz OEM parts for perfect fit and function. And they can offer you special options and benefits to save you time and money. For example, we provide Airport Valet Service when your vehicle is being serviced and you are out of town. We’ll have your serviced car waiting for you when your flight arrives, so that you don’t have hassle with a rental car or hired transportation. Another great amenity is Discount Parking. That’s right, you’ll receive 20 percent off your parking charges at specified locations when you purchase a vehicle from Mercedes-Benz of North Olmsted. Can’t bring your car to our Service Department? No problem! Our Mobile Service Technicians are available upon request. They’ll be happy to come to your home or office for light maintenance and repairs. We provide Valet Pick-Up and Delivery when service is needed. We will come to your home or office with a loaner vehicle and bring your vehicle in for any service or repairs. So don’t hesitate – take advantage of the many benefits offered by The Mercedes-Benz of North Olmsted Service Department. We look forward to seeing you soon!